Read appropriate grade level text aloud with correct pace and expression. Read or demonstrate progress toward reading appropriate grade level text independently. Can read between 92-143 correct words per minute by the end of the year. Learn and use new vocabulary through listening, discussion or reading. Use knowledge of words to determine meaning (examples: homonyms, idioms, roots). Listen to, read and discuss a wide variety of narrative and informational text. Identify key facts and information on a topic after reading several articles or selections. Make and confirm predictions about a text. Distinguish between cause and effect and between fact and opinion in an expository text. Read, listen and respond to a wide variety of literature from a wide variety of cultures and time periods. Compare and contrast various forms of literature (examples: fairy tales, fables, myths). Identify the main events in the plot. Use knowledge of the setting and characters to interpret the character’s actions. Write using the entire writing process (pre-write, rough draft, revise/edit, publish). Write essays and stories across the curriculum that are well organized, supported by details and description. Write a short informational text. Investigate topics of interest, selecting appropriate resources and showing correct use of resources. Write texts of different modes (narrative, expository, persuasive) and forms (journals, essays, short stories, poems, etc.) across the curriculum that are appropriate to audience and purpose. Use correct spelling, grammar, punctuation, capitalization and penmanship across the curriculum. Listen critically and respond appropriately to spoken messages and formal presentations. Orally communicate supported ideas across the curriculum using oral, visual and multi-media forms that are appropriate to audience and purpose. Deliver an oral message while demonstrating control of eye contact, volume, rate and expression. Demonstrate the ability to analyze and evaluate information and ideas presented across the curriculum. Use alphabetical and numerical order. Use table of contents, index, glossary, dictionary and thesaurus. Use charts, illustrations, graphs and diagrams. Understand how to search for items using the library catalog and locate library materials using call numbers. Locate information or research a topic using more than one source. Identify a story’s sequence of events. Identify cause and effect relationship. Make predictions based on clues. Distinguish between fact and opinion, fiction and nonfiction. Read and identify characteristics of a variety of genre. Identify where a selection may be located in the library. Read and identify classics and award winning books. Investigate an author’s background in order to understand an author’s motivation. Use the library for selecting recreational reading materials. Create a media work for a specific purpose. Actively participate in Liturgical and Sacramental celebrations. Participate and lead prayer services. Demonstrate knowledge of Liturgical Seasons and Celebrations. Articulate learning of doctrine and lessons learned. Ask/respond to questions about the Faith. Understand the meaning of having a good conscience and of making good moral choices. Experience and contribute to the building of community at home, in the classroom, in the parish and in the community. Actively participate in prayer experiences using a variety of formats. Engage in role-playing, poems, songs, etc. related to Scripture stories. Articulate a clear understanding of the Church as the Body of Christ. Understand the leadership roles of the Pope and Bishops of the Church. Know the Rite of Reconciliation and participate appropriately. Respond to scenarios of moral dilemmas using guidelines of Faith. Know the stories of the lives of the saints. Memorize the Ten Commandments and the Two Greatest Commandments. · Examine concept of stewardship in the church. Observe created world to reinforce learning about God and personal relationship to Him. Read, write, order, model and compare whole numbers to one million, common fractions and decimals to hundredths. · Locate common fractions and decimals on a number line. Determine factors of whole numbers to 100. Multiply a three digit number by a two digit number. Divide a three digit number by a two digit number with or without remainders. Add and subtract commonly used fractions with like denominators and decimals to hundredths. Determine the median for a set of data. Determine probability of a single event. Understand that the probability of an event can be represented by a number from 0 (impossible) to 1 (certain). Conduct experiments and simulations to determine experimental probability of different outcomes. Describe, extend and make generalizations about patterns and sequences. Represent and solve open sentences or problems involving numeric equations or inequalities. Select and estimate, using the most appropriate tool and US customary unit to measure length, perimeter, area, weight and volume. Read temperature measurements of thermometers with Fahrenheit and Celsius units. Identify, describe, compare and classify quadrilaterals by their sides and angles. Identify right, acute and obtuse angles in isolation and in geometric figures. Model, sketch, draw and label points, lines, line segments, angles, rays, quadrilaterals and parallel, perpendicular and intersecting lines. Build three-dimensional objects and sketch two-dimensional representations of the object. Locate coordinates of points on graph paper, maps, globes and other charts. Predict and describe the results of performing reflections, rotations and translations of quadrilaterals. Physical Science: understand matter and changes that happen in the physical world. Identify objects (solid, liquid, gas, air). Understand force (speed, direction, magnetism, gravity). Understand energy (sun, fossil fuels, hot, cold). Diagram and label a life cycle. Describe the basic needs of living things. Earth & Space Science: identify the structure of the Earth system. Identify the composition of rocks and soil. Understand recycling and its impact to the environment. Understand the effect of weather and natural disasters have on the earth’s surface. Describe Earth’s gravity, moon’s orbit and stars. Understand different qualities of astronomical features in the solar system. Recognize and diagram parts of a system. Compare models to the real thing. Describe examples of change over time. Understand that accurate descriptions help comparisons. Know that new observations may change explanations. Ask questions and attempt answers about the world around you. Know the fields of science. Know that people’s actions have an affect on others / the environment. Describe how scientific developments help keep us healthy. Know that people are always inventing new ways to solve problems and get work done. Understand that tools are used to observe, measure and make things. Identify body systems and their functions (examples: digestive, nervous, excretory and immune). Identify possible safety hazards at home, school and around the community. List procedures for handling emergencies. Identify personal safety strategies for prevention of potentially violent situations. Know the branches of state government. Understand how Oregon laws are made. Know how a treaty works. Know ways individuals participate in the democratic process (examples: voting, writing officials, signing petitions). Know the function of money (examples: trade, value of items, saving), distinguish between barter and use of money. Understand that prices rise and fall depending on supply and demand. Recognize that savings are the part of income not spent on goods, services, etc. Know state government provides services through taxation. Label continents of the world on a map. Map physical regions of Oregon. Locate Oregon land features on a map. Use latitude and longitude and estimate distances. Understand ways the environment influences human activities and how humans affect their environment. Identify how geographic factors have influenced Oregon settlement patterns, traveling routes. Create and interpret timelines of people, events and movements in U.S. history. Understand the cause and effect of early European exploration and western migration on Native American populations in Oregon. Identify different types of primary and secondary information sources. Describe social, political and economic changes in Oregon, past and present. Research and compare different points of view on a specific topic or issue from a historical period. Compare possible consequences of two or more solutions for resolving a problem. Identify and describes the sounds of a variety of instruments including orchestra and band instruments, instruments of various cultures, as well as children’s, male and female voices. Explain various purposes for creating and performing music. Begin to identify how people’s experiences influence the development of works of music and music forms. Compare pieces of music from a variety of different cultures. Utilize personal preferences and their relationship to music elements and form. Identify and use materials tools and techniques to create multistage art and understand the steps and sequences used. Identify different media forms and begin to select appropriate materials, tools and processes to communicate intended idea, experience or story. Develop a basic understanding of the elements and principles of design and begin to identify them in their work. Describe using appropriate technical terms, how different materials, techniques and processes cause different effects and responses. Continue to use art materials and tools in a safe, responsible manner. Reflect and communicate the effectiveness of their own art work verbally and in writing. Identify basic artistic elements and principles (using appropriate technical terms) which can be seen in art works. Identify and describes a variety of forms of art. Identify personal preference and their relationship to artistic elements (i.e. describe why they like or dislike a piece: “I like the way the artist shows speed with use of the line"
Explain various purposes for creating works of visual art. Describe ways an art work reflects the artist’s experiences and/or culture. Compare several pieces of art from historical periods and cultures. Identify, explain and perform specialized skills for an activity. Explain, modify and perform efficient movement patterns. Perform fitness elements and develop improvement goals. Participate and communicate a positive attitude toward physical activities. Demonstrate cooperation, respect, responsibility, safety and conflict resolution for self and others. Mrs. Stephanie Naegele has a Bachelor’s of Arts Degree from Northern Arizona University. Upon graduating from NAU, she worked for a major law firm while earning her paralegal certificate. Four years later, she returned to Northern Arizona University and received her Education Certificate and has been teaching for the past 24 years. Of those 24 years, 18 years have been at St. Francis School. 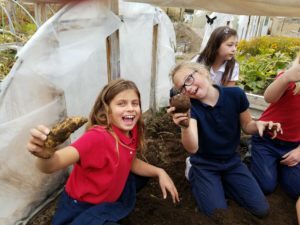 She is passionate about sustainability in energy and food growing, and thus was integral in establishing the school garden which is now a part of the school wide curriculum. 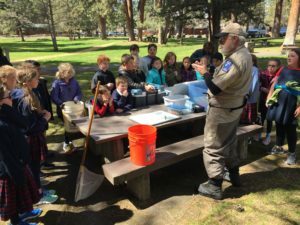 Her passion for growing and gardening has been broadened through her completion of the Oregon Natural Resource Education Program. 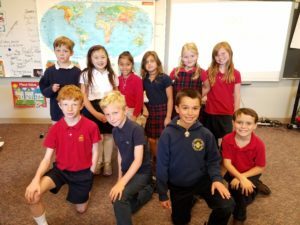 Mrs. Naegele truly enjoys teaching 3rd grade and strives to provide her students with a plethora of opportunities to learn, experience, and question. 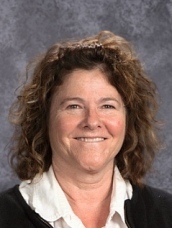 Outside of school, Mrs. Naegele enjoys spending time with her family and getting to the beach as much as possible.